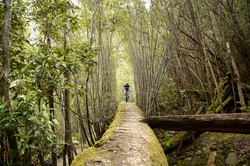 The definitive guide to mountain biking in Tasmania, Australia. 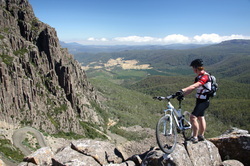 A smart phone & tablet friendly website that provides the only information for planning your Tasmanian epic MTB adventure in one website, including; travel directions, trail notes, trail head services, downloadable trail maps, Google map links, weather forecasts and past rainfall links, bike trailer hire, bike shops, MTB hire & MTB guides as well as recommended accommodation, bars and dining venues. Please Note - the first part of this video is filmed at Hollybank Mountain Bike Park.